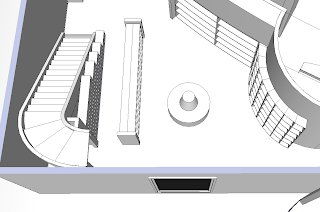 I love plugins for Sketchup. Think of them as "Apps" for Sketchup. 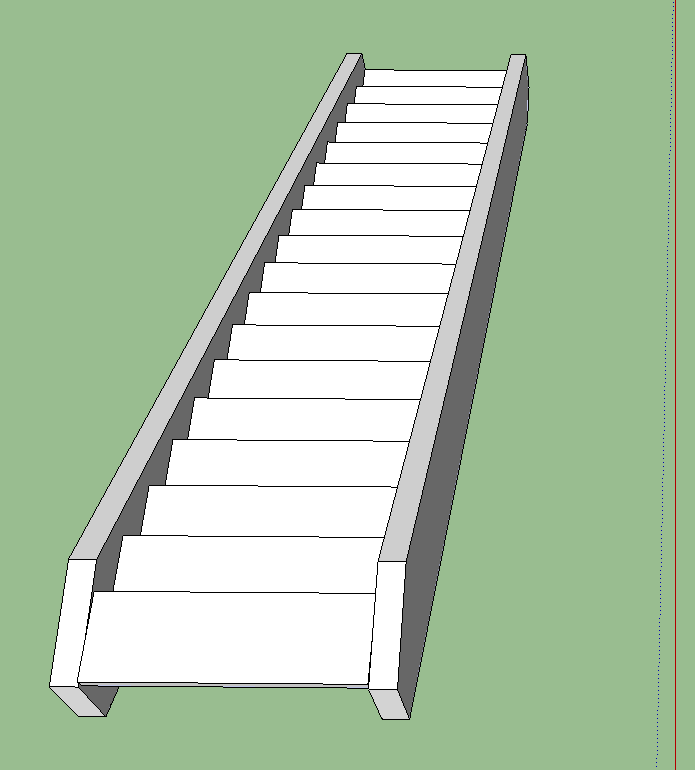 Sketchup in its stock form is quite a useful modeling tool, but you can take it so much farther with different plugins. The other day I was tasked with modeling a house for a client in Sketchup. 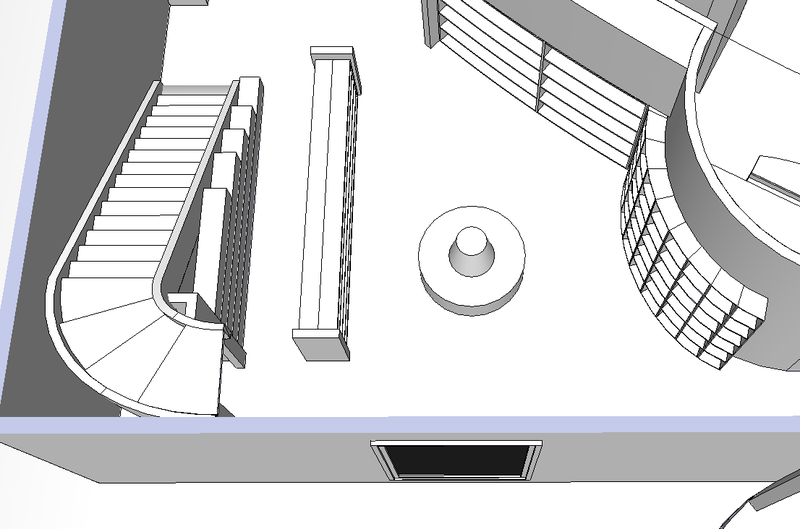 Sketchup's tools are great for this sort of thing. This house did have several curved staircases. If you've ever had to figure out one of these, its not easy, there is a lot of math involved. Once you've got the math done you need to actually draw the thing. Drawing a curved staircase in Sketchup isn't actually that hard, its just time consuming. Enter Shape Bender, a brilliant plugin for Sketchup. It was written by Chris Fullmer who I had the pleasure of meeting at Basecamp 2010. Shape Bender allowed me to take a straight staircase and bend it by just using a couple of clicks. If you'd like to get Shape Bender for yourself, you can download it HERE.